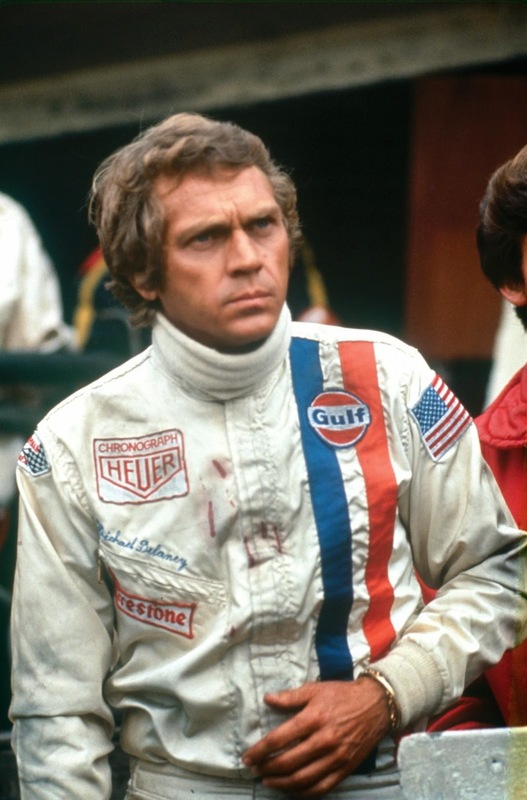 A motor racing mockumentary, Le Mans indulges the fantasies of star Steve McQueen, but still manages to deliver terrific, high intensity racing action. There is not much plot in the movie, and very little dialogue. Michael Delaney (McQueen) arrives at the Le Mans circuit to participate in the legendary annual 24-hour endurance race, driving for the Gulf Porsche team. The previous year, Delaney was involved in a crash that took the life of his rival Piero Belgetti. This year, his main competition is Ferrari driver Erich Stahler (Siegfried Rauch), while veteran Johann Ritter (Fred Haltiner) drives one of the other Porsches. To Delaney's surprise, Belgetti's widow Lisa (Elga Andersen) is again in attendance. After an intense build-up, the race starts, and the multi-car Porsche and Ferrari teams are in close combat for the lead. During breaks when co-drivers take over, Delaney has a stiff conversation with Stahler, and finds himself strangely attracted to Lisa. Meanwhile, Ritter lets his wife Anna (Louise Edlind) know that this will be his final race before retirement. As crashes and unexpected mechanical problems take their toll, team manager David Townsend (Ronald Leigh-Hunt) tries to engineer a Porsche victory. McQueen yearned to be taken seriously as a racing driver, and here, at the peak of his commercial success, he created his perfect illusion. 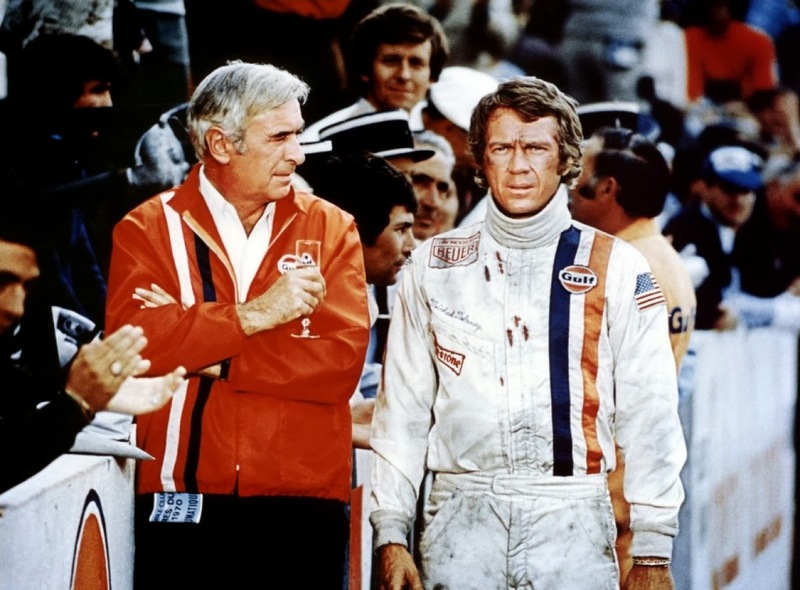 Le Mans was a deeply troubled production, lacking any sort of a script, with director John Sturges bailing on the dysfunctionality, and the leading lady hired deep into the process. Over budget and late, Le Mans is driven forward only by McQueen's vision that the race is the story, and not much else matters. Filming took place during the actual 1970 race, and actual drivers participated in the production, McQueen getting his wish of rubbing shoulders with the greatest drivers of his era, and pretending to be one of them. Most of the film consists of capturing the on-track racing action, and director Lee H. Katzin, hurriedly recruited from the world of television to replace Sturges, elevates the roaring machinery to fine art. The sights and sounds of the iconic Porsche 917s and Ferrari 512s, racing side by side at top speed through the French countryside, are indisputably thrilling. In the pre-special effects era, everything on the screen is real, including some jarring crashes. The sense of speed, danger and pure exhilaration is at the heart of Le Mans, and McQueen achieves his objective of placing the pounding quest for racers to overcome each other and the track at the core of the viewing experience. When the cameras are not aimed at the circuit they are immersed in the surrounding experience of the fans, the mechanics, the wives and girlfriends, and the circus atmosphere that descends on any major sporting event when hundreds of thousands of fans congregate. There are maybe twenty meaningful lines of dialogue in the entire film, with the track's public announcer getting by far the lions share of the spoken lines. Even when two characters do meet, there are pregnant pauses aplenty, either due to the attempted Europeanization of the film, or more probably, due to a script consisting mostly of empty pages. After getting his racing movie out of his system, McQueen would eventually recapture his audience with The Getaway in 1972. Driving around in circles proved to be a necessary pause before forward momentum could be regained.